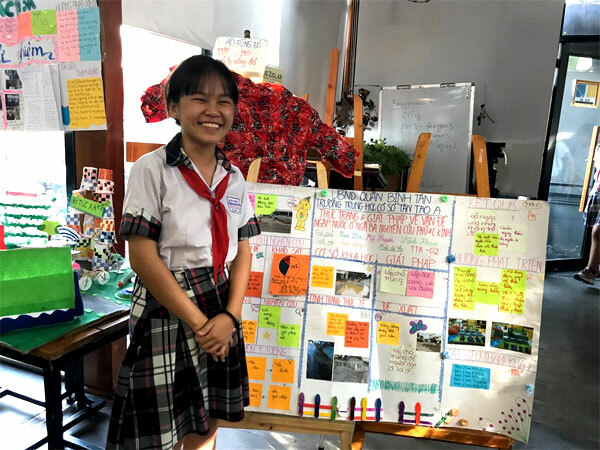 VietNamNet Bridge – National science contests for school students are attracting more and more competitors every year, according to the Ministry of Education and Training’s secondary education department. The figure was reported by Dr Vu Dinh Chuan, the department’s head, at a conference on scientific research by high school students in the south on Sunday. Last year for instance, students from HCM City’s Le Hong Phong High School for Gifted Students and Marie Curie High School won four first prizes, and their projects included a device to monitor the heart of senior people at home against the risk of heart attacks, glasses for people with visual impairment that can analyse text and convert them into speech and prosthetic arms. Assoc Prof Dr Le Huy Hoang of the Ha Noi National University of Education said scientific research inspires students to use academic knowledge to solve real-life problems and take the initiative to learn. According to an official from the Soc Trang Province’S Department of Education and Training, funds for doing research is limited at high schools. Speaking at the launch of the National science and Technology Contest this year, Deputy Minister of Education and Training Nguyen Van Phuc said the creativity of Vietnam’s students is underlined by the prizes they win in regional and international contests every year.